The Kanetsune Kiridashi is both a beautifully handcrafted knife and a high performance fixed blade for hunting, camping and hiking. Made in Seki City, Japan, it features a SK-4 high carbon steel blade with a satin finish. 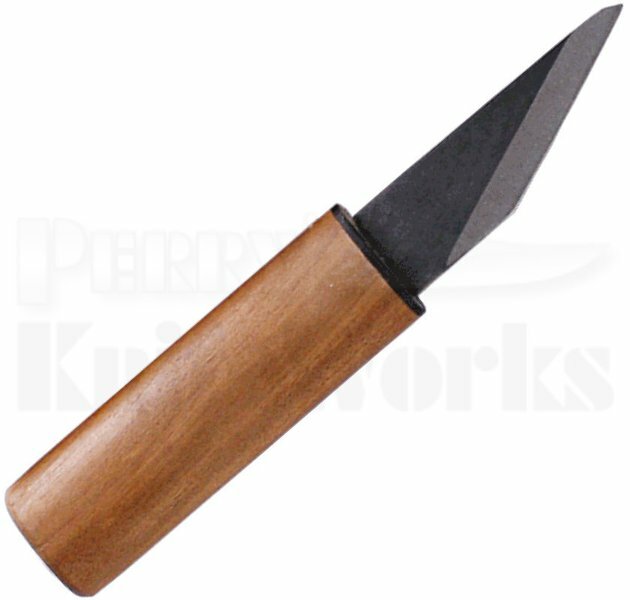 The handle is made of wild cherry wood. The Kiridashi comes equipped with a matching cherry wood blade cover.